I absolutely love cream cheese. Each month I order it in bulk from our coop because we use it for so many things, everything from a simple fruit dip to my Queso for our Chicken and Queso dish. Cream cheese is almost always present at our house! But for the last several months, my cream cheese hasn’t come in with my coop order. It’s been out of stock and I’ve been stuck trying to make my favorite meals and baked goods without that all important ingredient. But it hasn’t been a totally bad experience. In fact, we’ve been able to find several cream cheese alternatives and haven’t had to buy the cream cheese from the store with ingredients we don’t like or the ultra expensive organic cream cheese. My first experiment was making homemade Yogurt Cheese. This is a simple thing to make and you only need one ingredient, Greek Yogurt. Since yogurt is more readily available to us, I tried this out first and here’s how you make it. 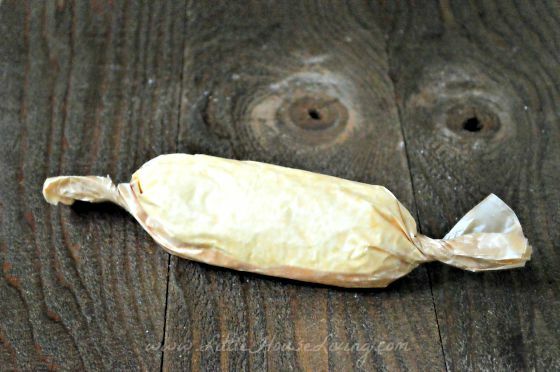 Take a piece of cheesecloth and secure it over a jar or bowl, making a little “strainer basket” from it. Keep it in place with a rubber band or some string. 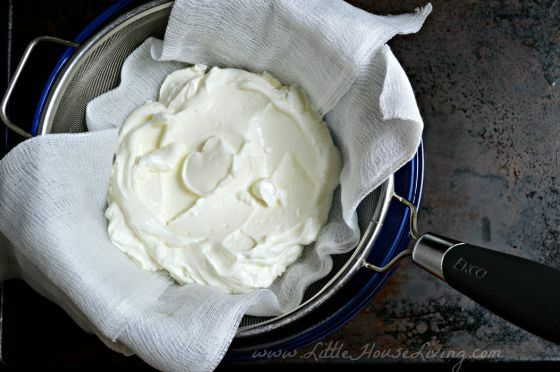 Take a large scoop of Greek Yogurt and place it carefully on the cheesecloth so it can drain. 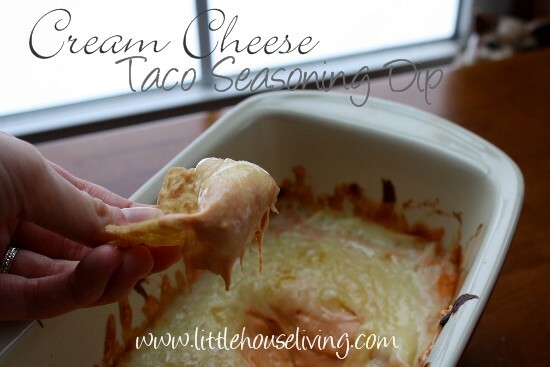 Let it sit on the cheesecloth (either on the countertop or in the fridge) for at least 24 to 36 hours. 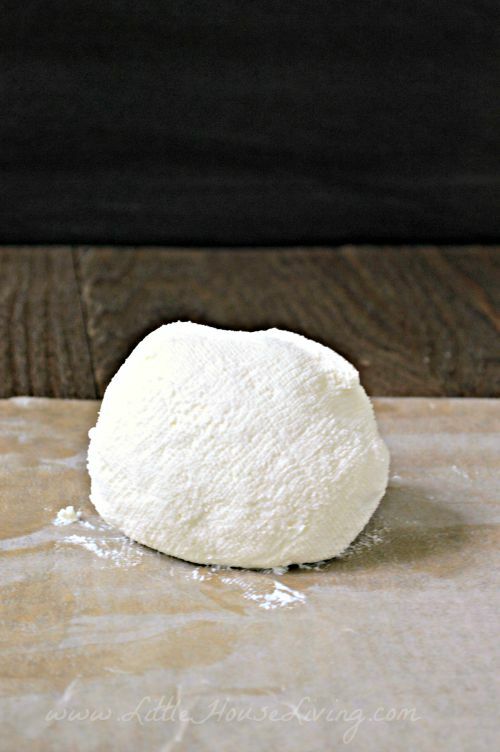 Carefully remove the homemade Yogurt Cheese from the cheesecloth after this time and place it in an airtight container or wrap in wax paper and store in the fridge. 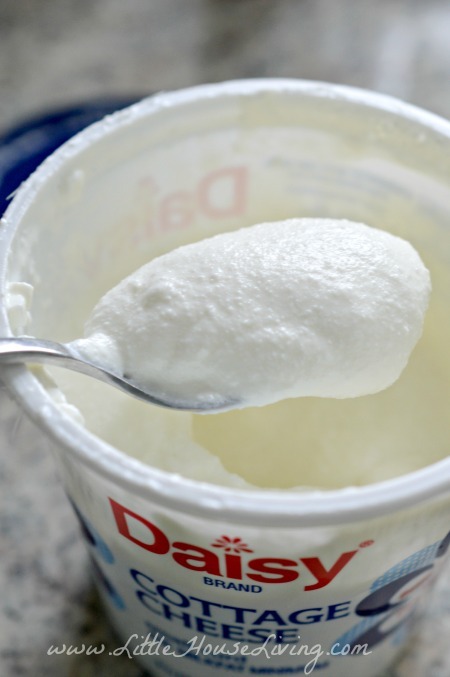 A few notes on this….if you use a Greek Yogurt with pro-biotics you will have a nice cultured Yogurt Cheese when you are done. You can also mix the Greek Yogurt with a bit of maple syrup before you strain it for a little bit sweeter version (depending on what you plan on using the end product for). Yogurt Cheese is a good alternative for cream cheese in its raw form (for spreading on bagels, breads, ect), I’m not sure that I would use this to bake with. Homemade Yogurt Cheese is tangier than regular cream cheese but has a similar texture. 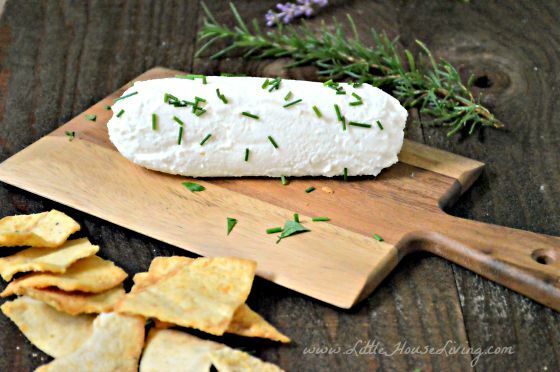 You can also add fresh or dried herbs to the Yogurt Cheese for different flavors. I haven’t tried it yet but I’m also hoping to make a dairy-free version of this “Yogurt Cheese” for our dairy-free Farmer Boy. For this I’m going to use the full fat canned Coconut Milk, scoop the “fatty” part off the top of the can and use the same method as the Yogurt Cheese above for it to drain and thicken. 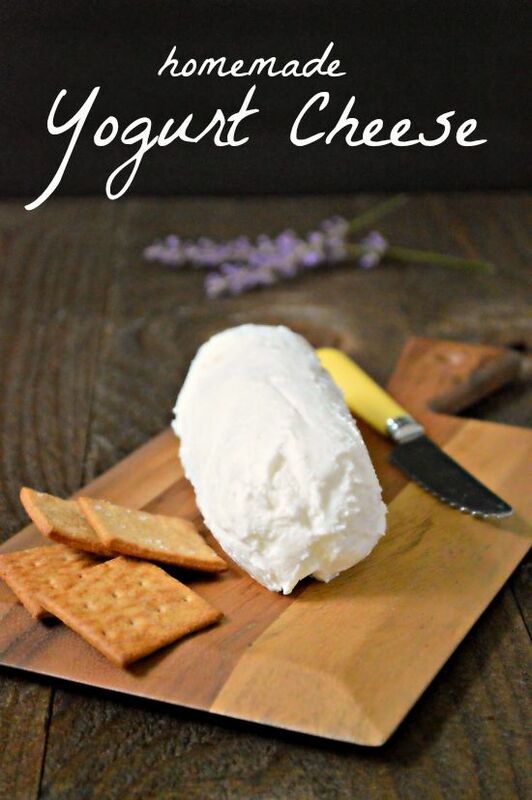 Another cream cheese alternative that we made was this. We took a plain, full fat cottage cheese and placed it in the blender for a few minutes. After it was creamy we tried it. Unlike the Yogurt Cheese it’s not quite as smooth but I did give this version a chance in baked goods (like my Easy Chocolate Cookies) and I was very happy with how they turned out! The Creamed Cottage Cheese had a similar taste to cream cheese and was not tangy like the Yogurt Cheese. It held up well after baking (and no, you could not tell the baked goods had cottage cheese in it) and we thought it was a good alternative cream cheese for that purpose. Have you ever made something as a replacement for cream cheese? What did you use and how did it work? I have made this yogurt cheese for years. I use it in any recipe that calls for cream cheese. 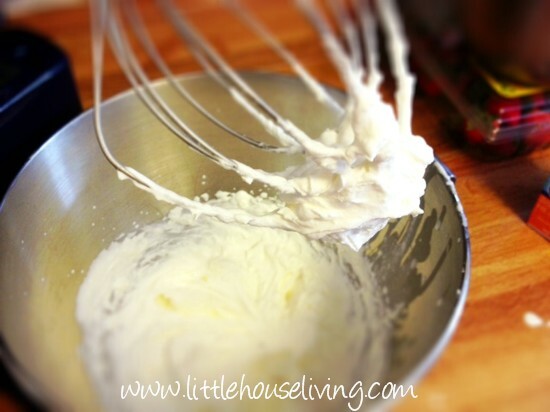 It is especially good to make cream cheese frosting. YUM!!! I have also used it to cook and bake with and have had excellent results. wonderful ideas. Keep up the good work! Sounds Great! I use strained yogurt for a Indian desert called ‘ShriKhand’ but never used it in this way. I strain Greek (or Balkan Style) Yogurt overnight and use in place of sour cream for a “Sour Cream Coffee Cake” recipe – it’s light and delicious. what great ideas! 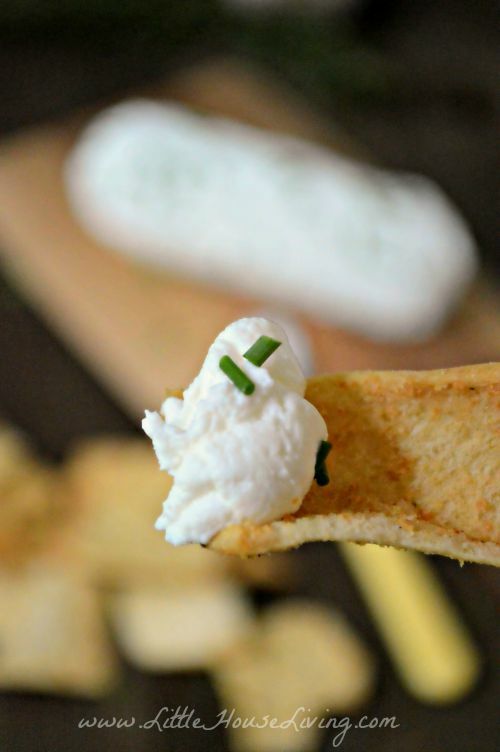 so glad you tested these alternatives to cream cheese out and shared your results! I am interested too in the dairy free version! Kristina has been experimenting with making cheese at home so this will be something we can both try 🙂 Thanks! I have a question about the cottage cheese version: do you drain the whey before you blend it, or leave it in? If left in, do you then drain it off like the yogurt cheese? I leave it in and blend together and do not drain like the yogurt cheese. It’s not as thick as the yogurt cheese alternative but works well in recipes where you need softened cream cheese. Could you stir into the yogurt some herbs (fresh or dried) before straining to make an herbed spread?